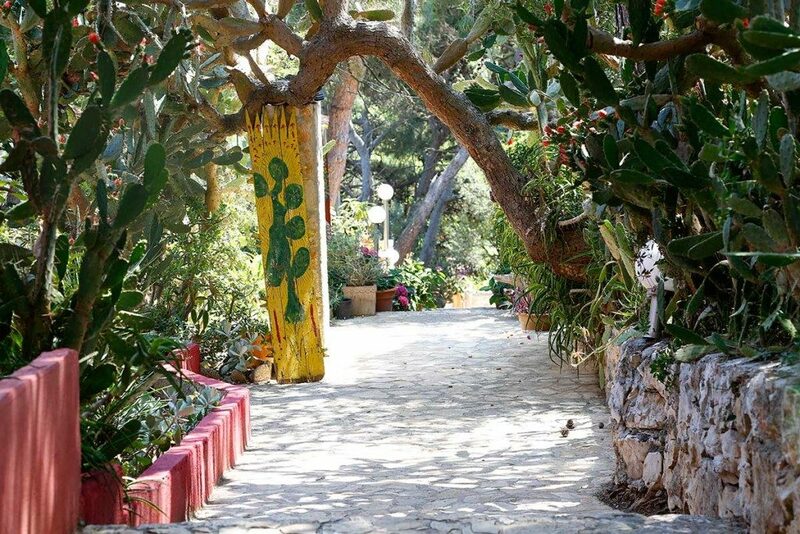 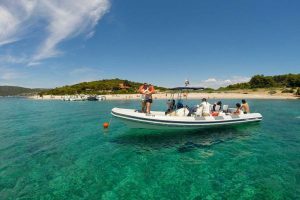 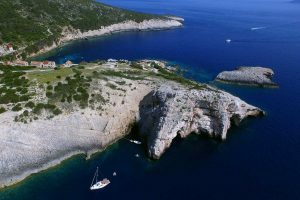 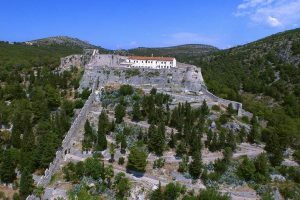 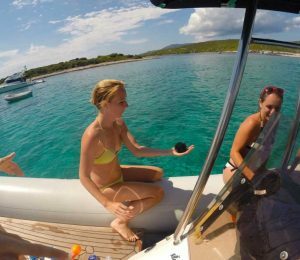 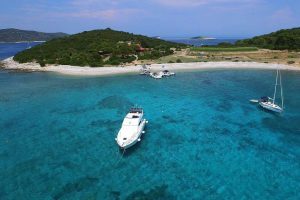 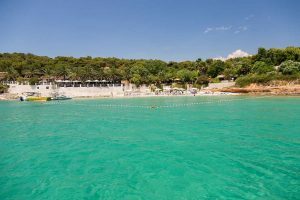 Island Hopping Tour – Discover 5 Dalmatian Islands! 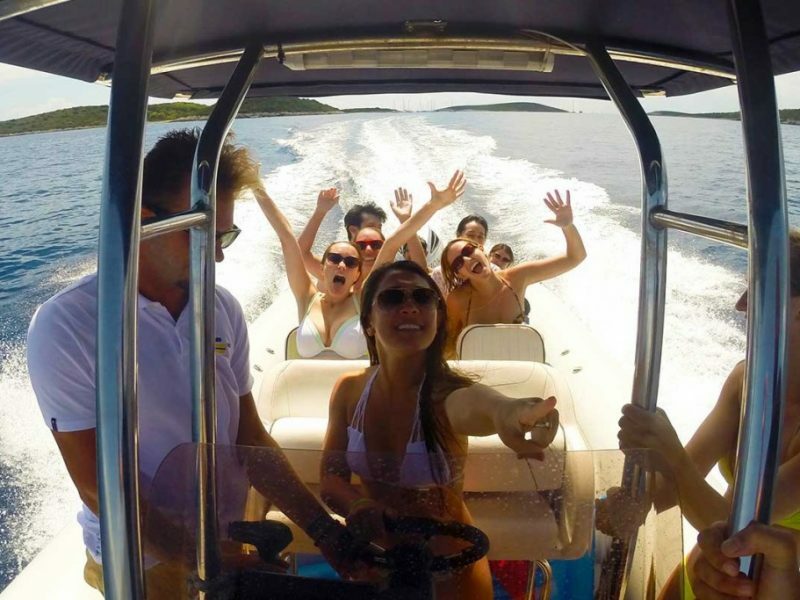 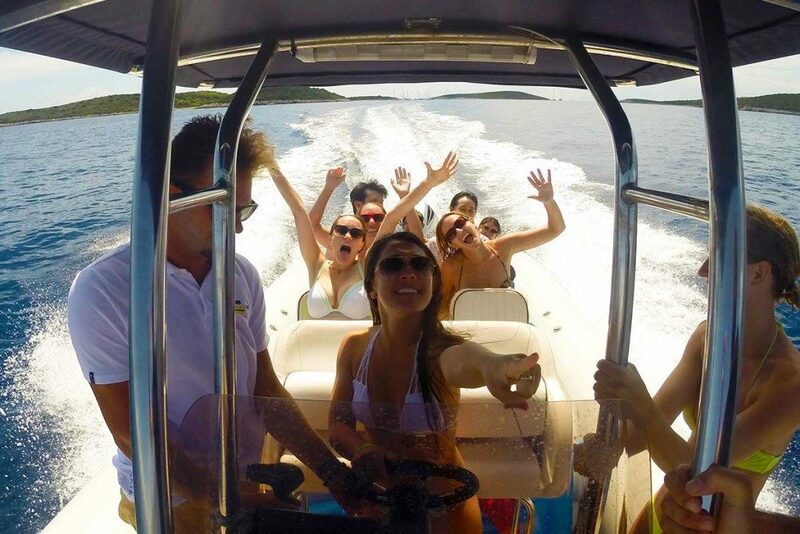 Our speedboat tour will give you simply unique experience of island hopping. 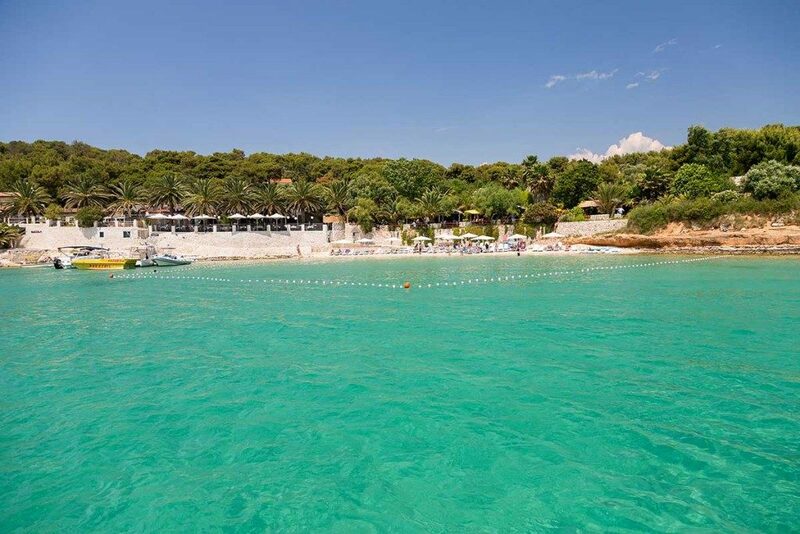 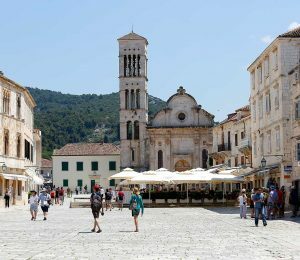 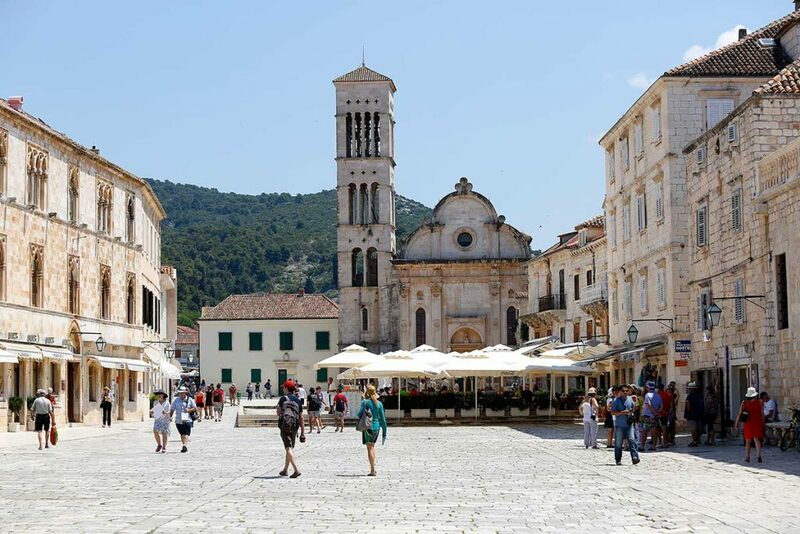 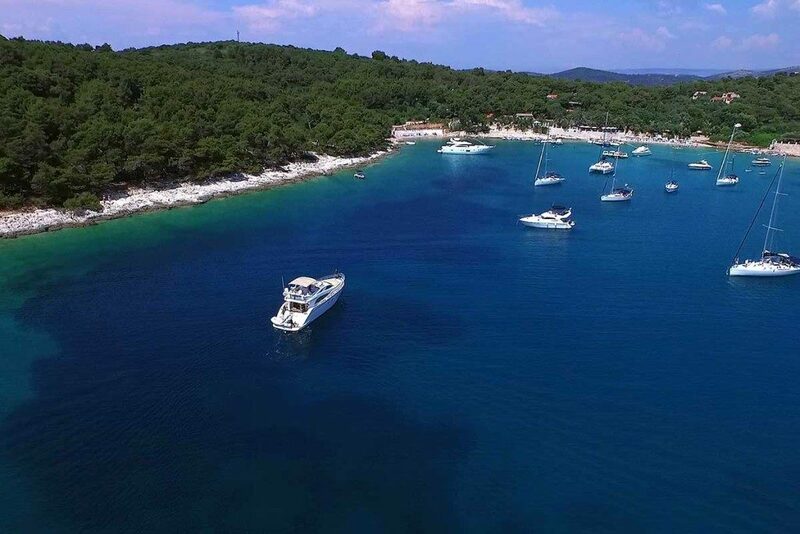 You will enjoy in the famous city of Hvar, placed on the sunniest and most glamorous of all Croatian islands. 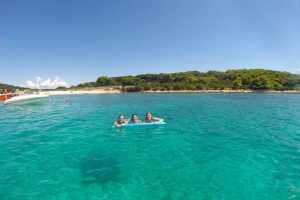 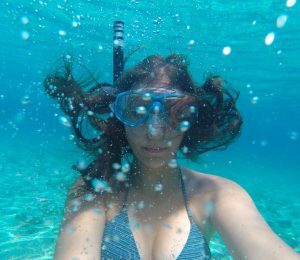 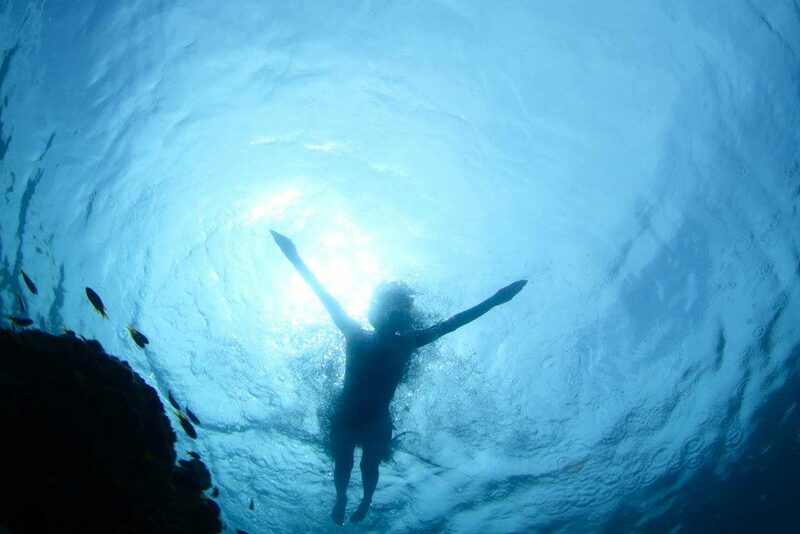 We will stop in amazing Palmizana bay for swimming and snorkeling time. 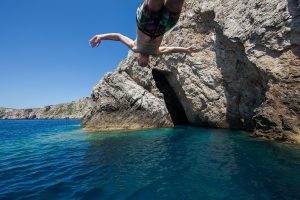 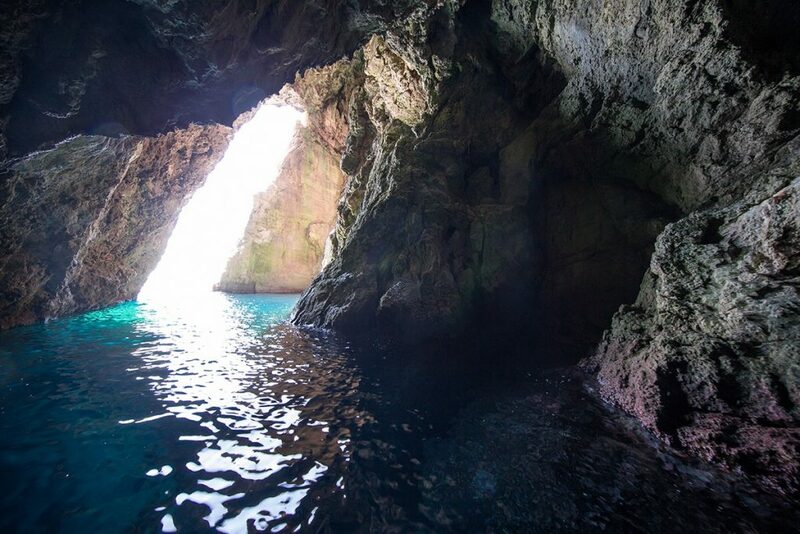 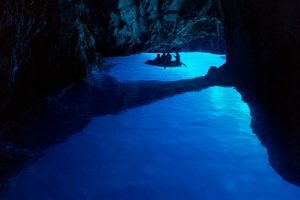 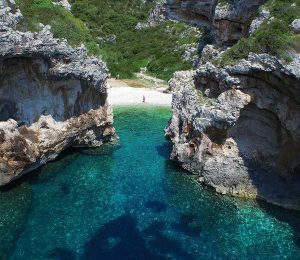 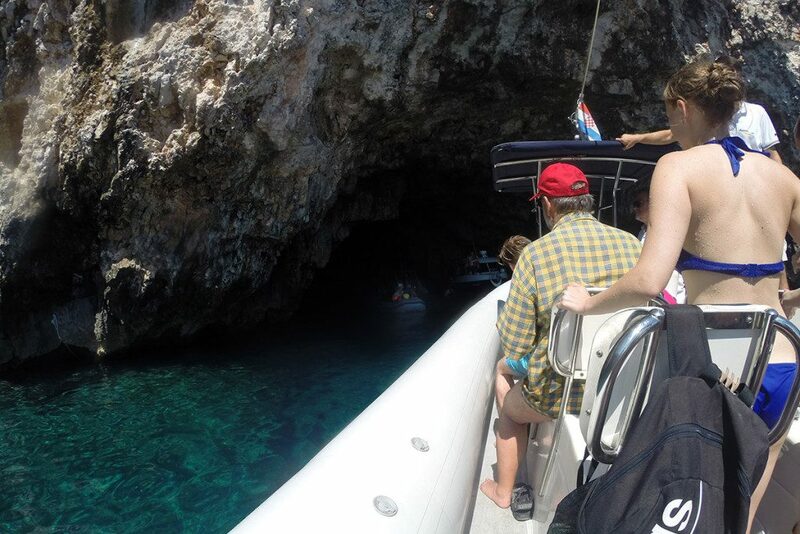 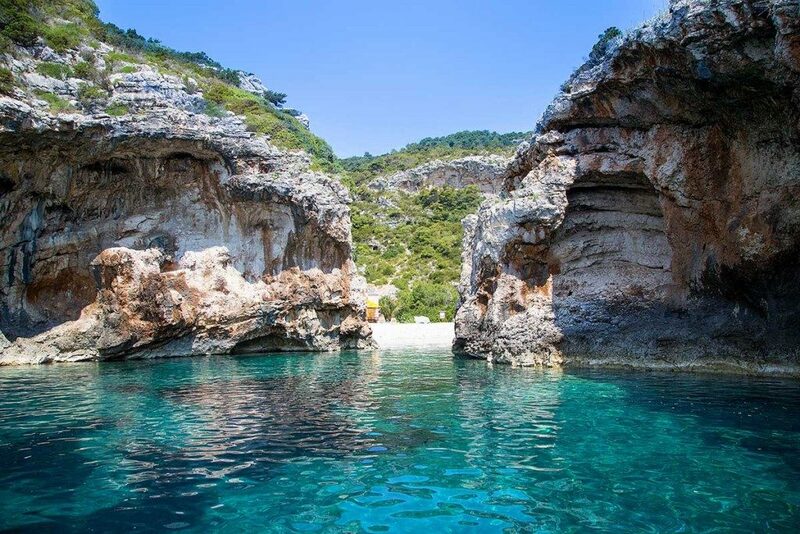 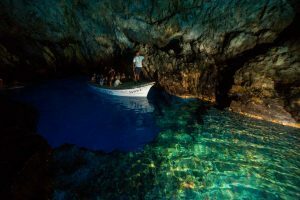 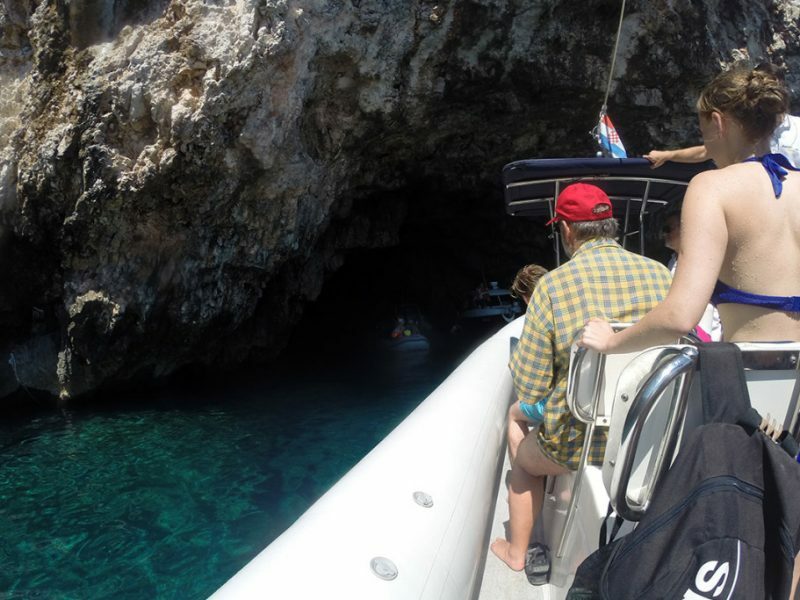 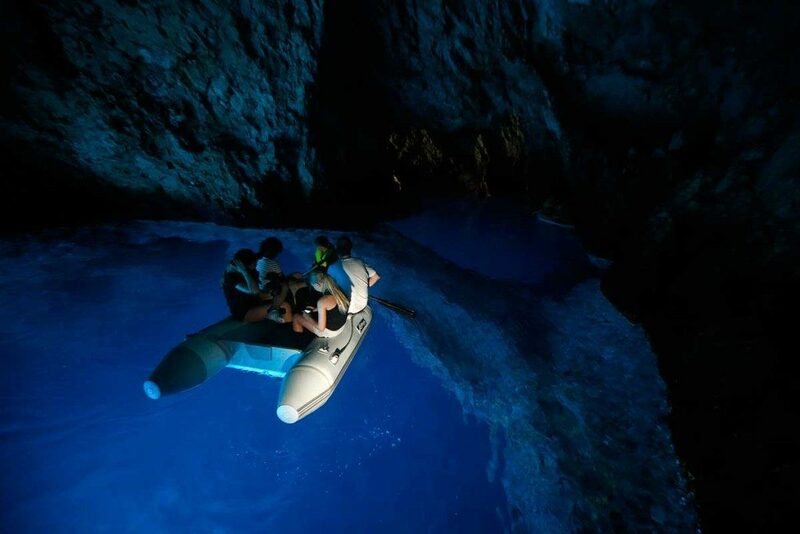 We will introduce you the legend of Pakleni Islands and give you amazing time on island Vis and its nature piece of art- Blue Cave. 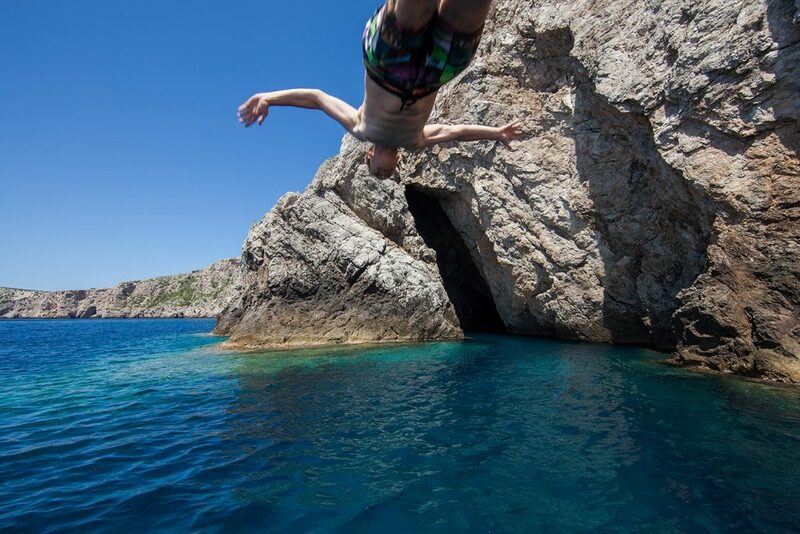 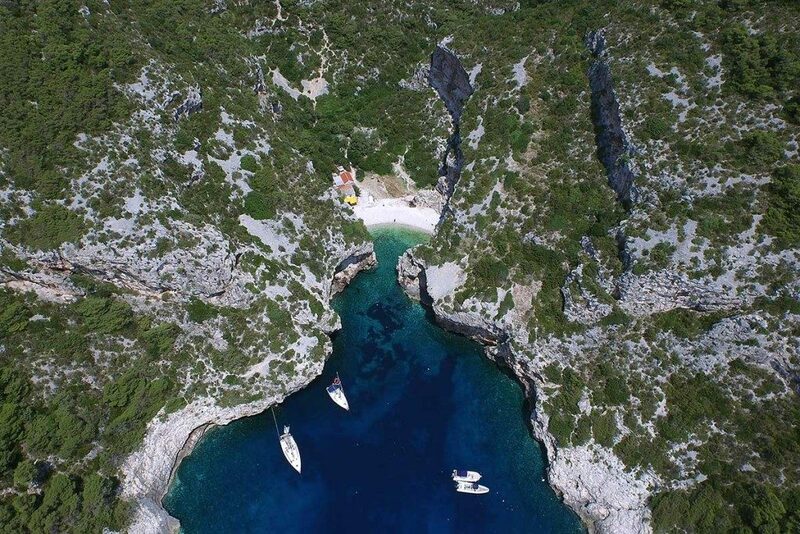 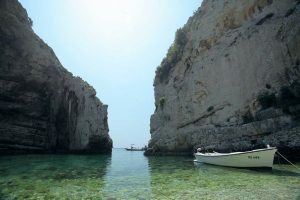 • Visit Pakleni islands archipelago, Hvar, Vis and number of islets in a single day! 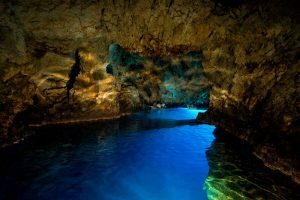 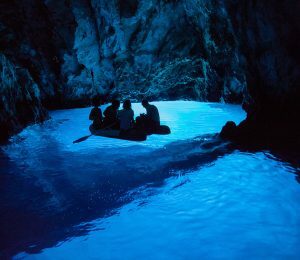 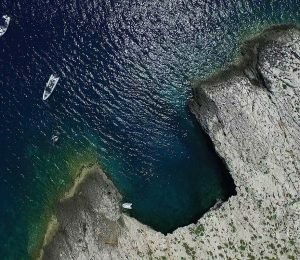 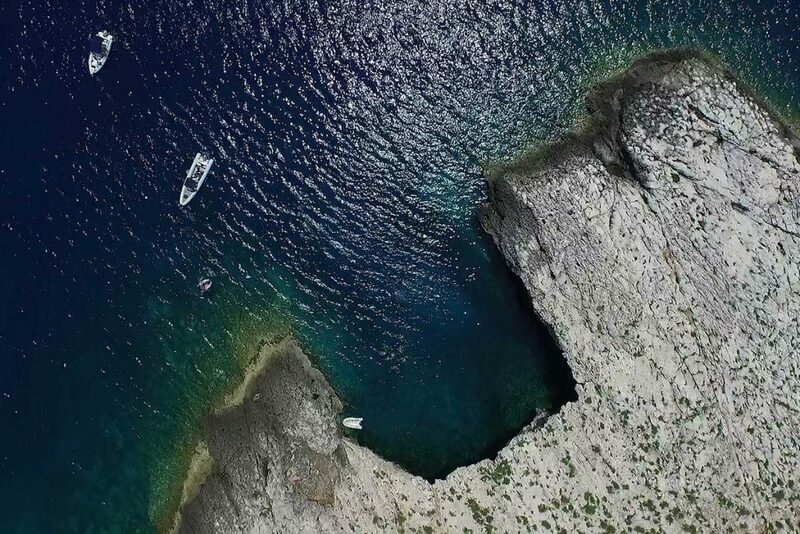 Spend amazing time on island Vis and its nature piece of art- Blue Cave, and discover unique beauty of islands of central Dalmatia. 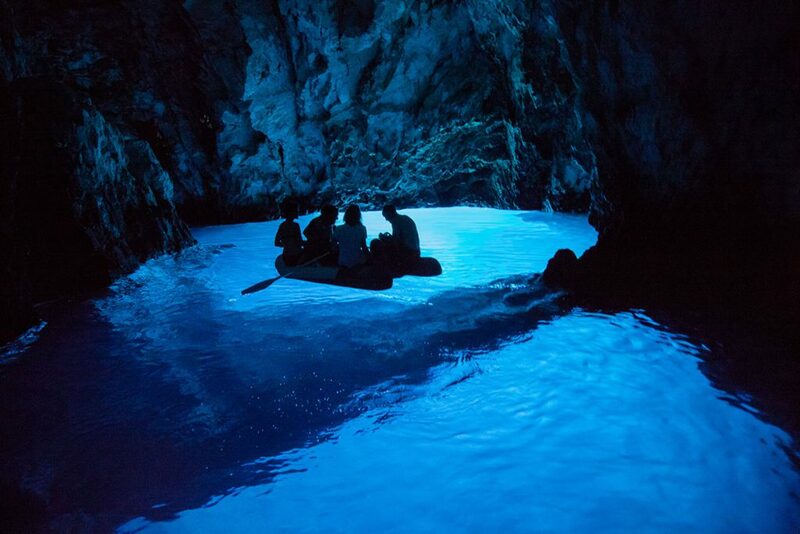 The Blue Cave on Biševo Island is unique phenomena of nature, in which the rays of the sun provide amazing, glowing blue light inside the cave. 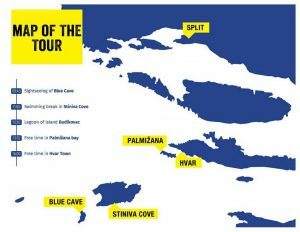 Our next stop is Monk seal cave- it was the habitat of one of the most endangered mammals in the world – the Mediterranean monk seal. 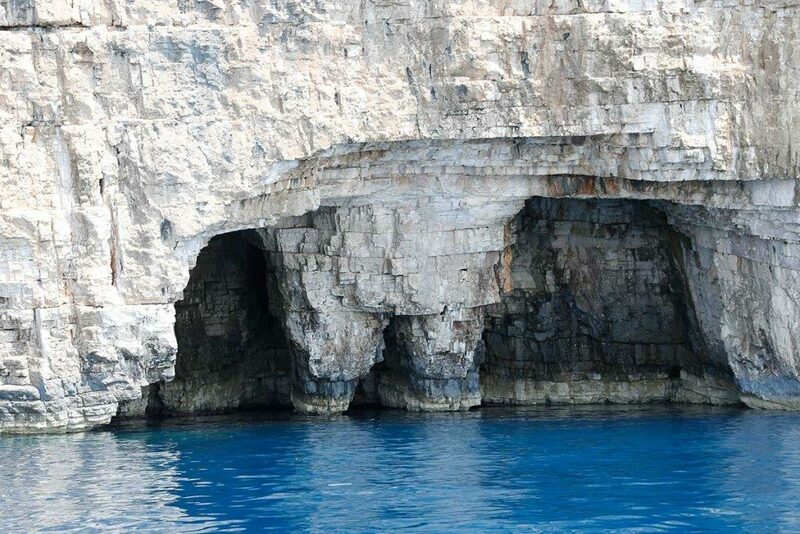 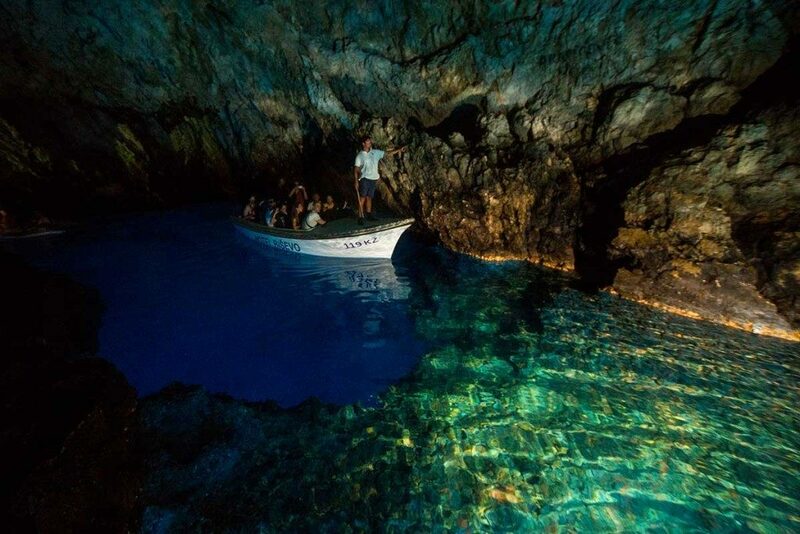 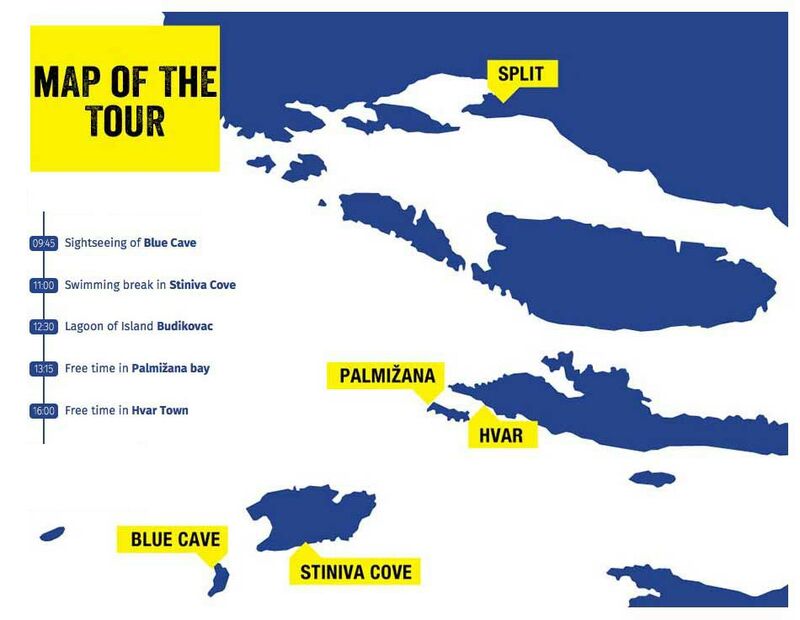 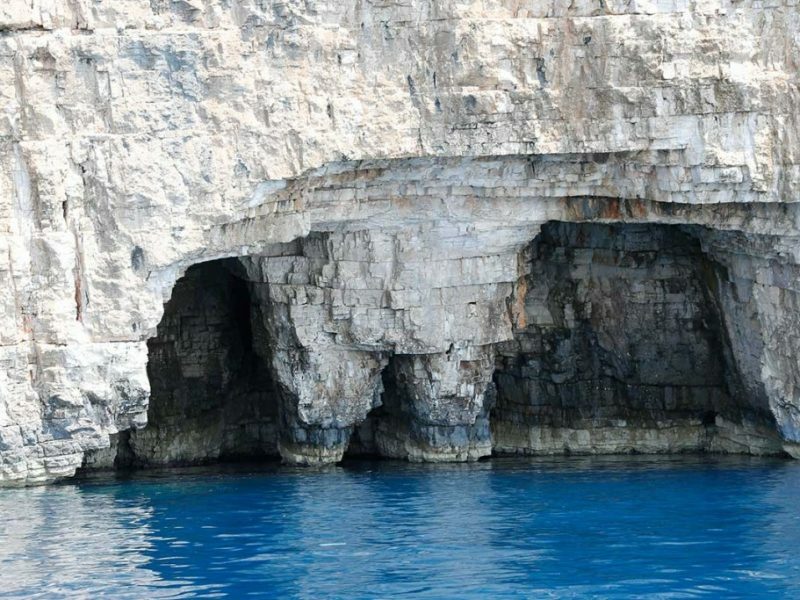 The cave is 160 m long and is the largest cave of Bisevo island. 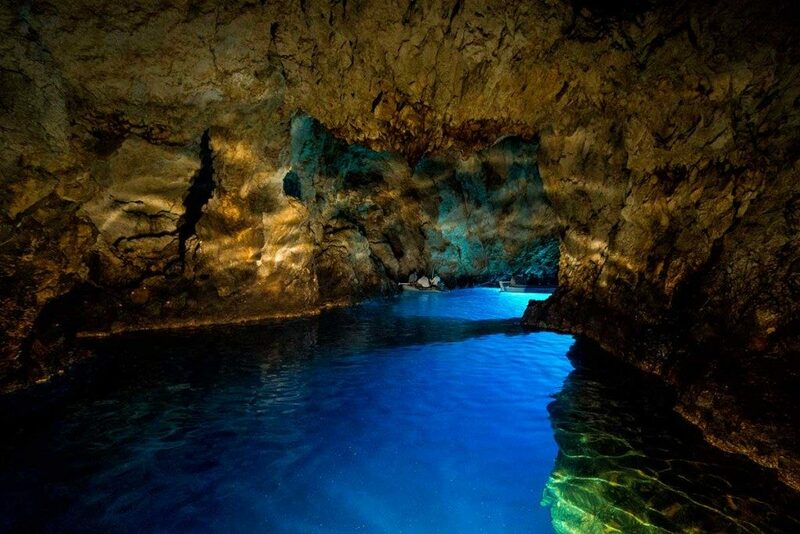 This really special cave uncovers how beautiful and completely different hidden places truly are. 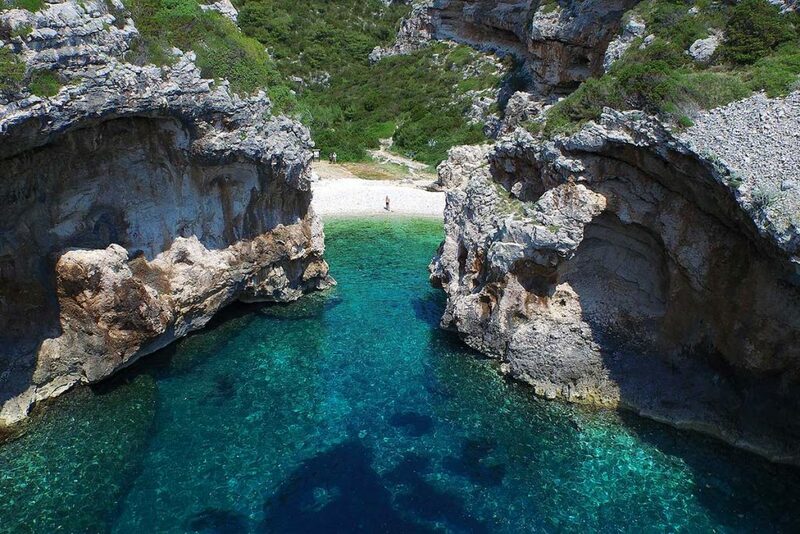 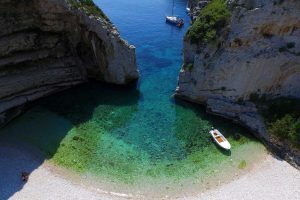 Stiniva Cove has been voted for the best beach in Europe and you will absolutely understand why, when you step on its 600 m long pebble beach surrounded by stunning cliffs. 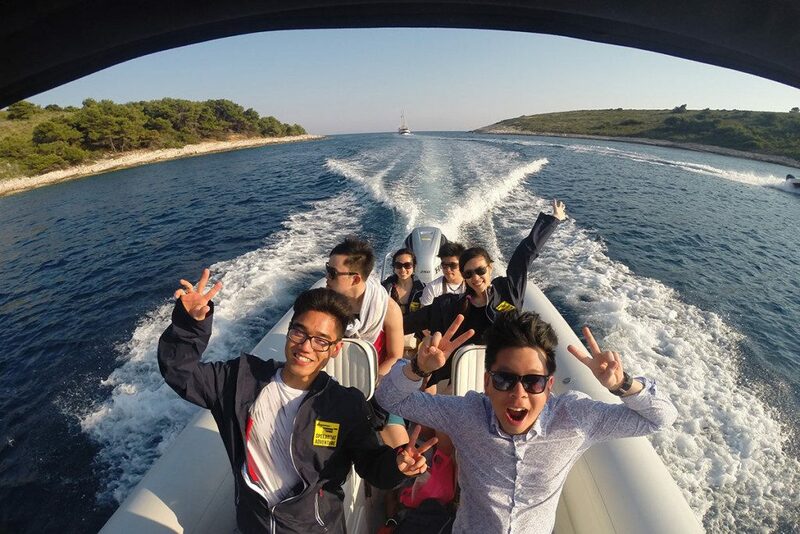 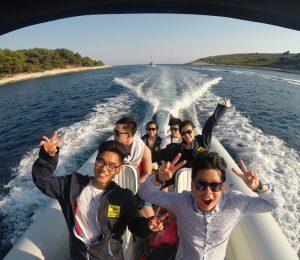 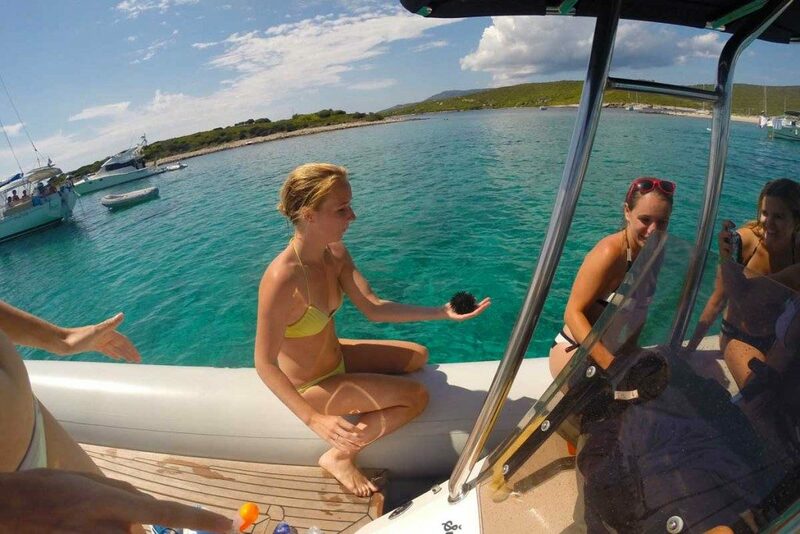 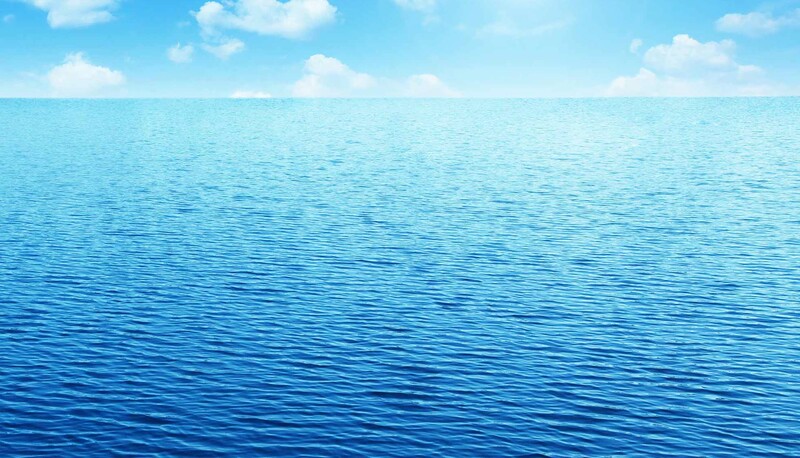 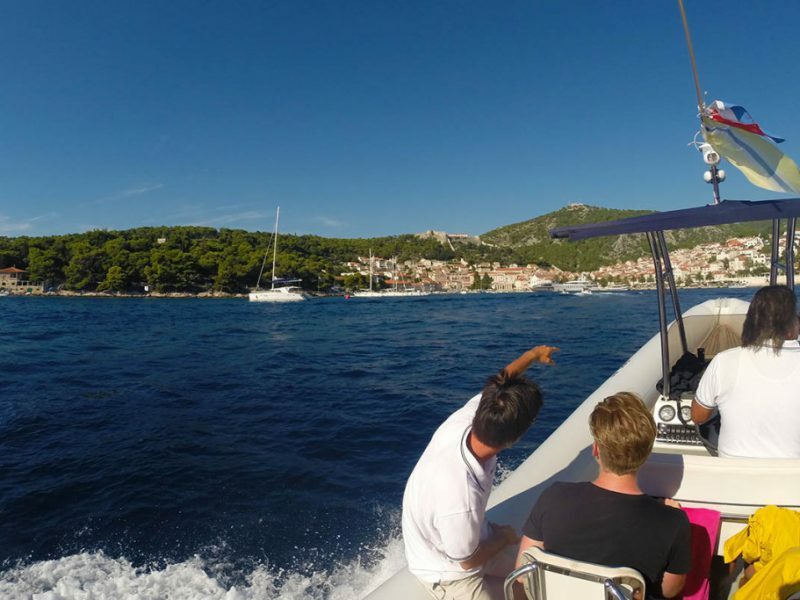 Simply perfect photos of Dalmatian islands will be captured on this whole day speedboat tour. 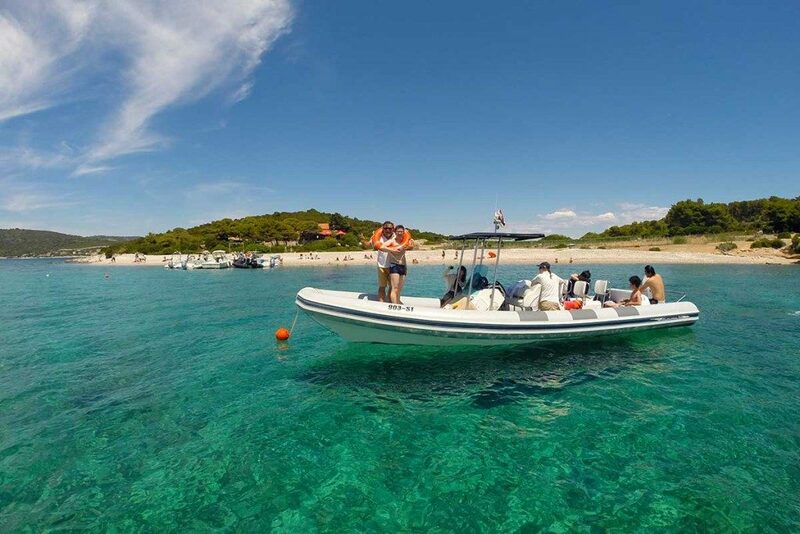 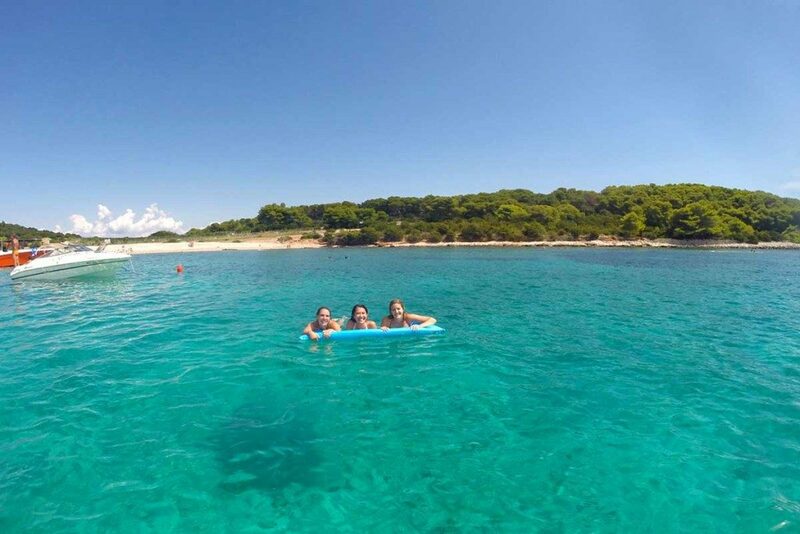 On our way towards Pakleni islands archipelago we will stop inside the peaceful blue lagoon of Budikovac island where you will have the opportunity to relax, swim or snorkel in its crystal clear water. For the following 2.5 hours, you will enjoy the beauty of the Pakleni Islands, a simply magical chain of islets. 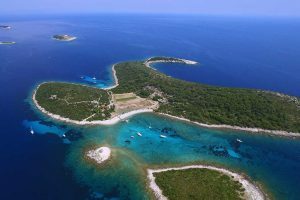 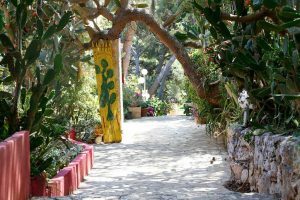 With its pebble beach, cute restaurants and amazingly blue sea will give you unforgettable time. 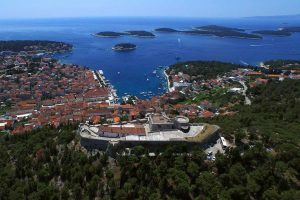 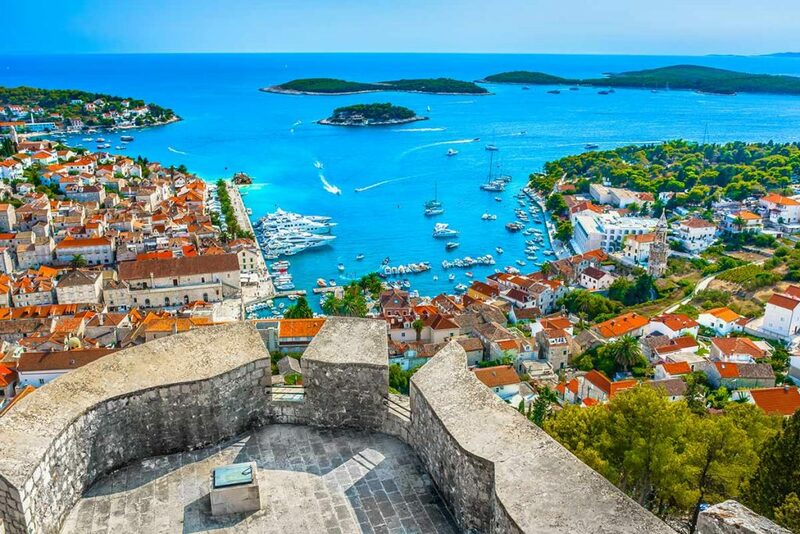 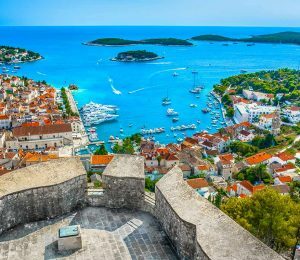 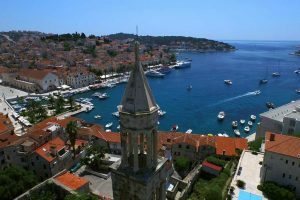 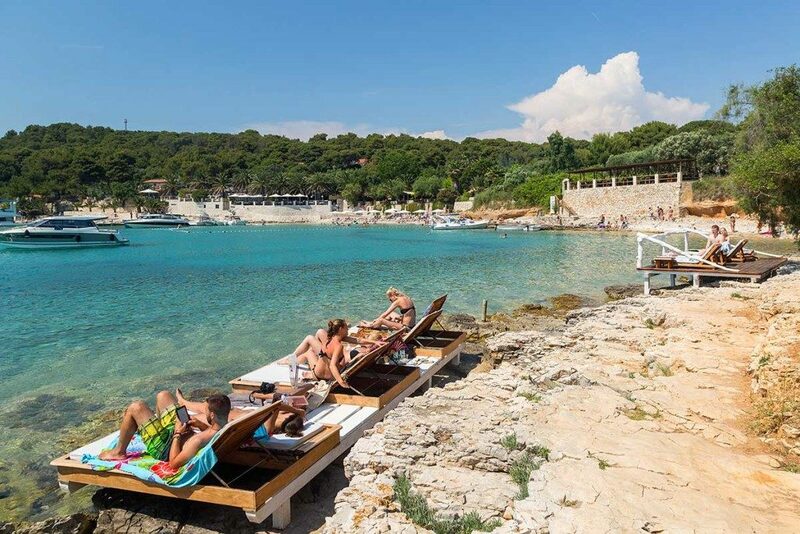 After experiencing its exquisite architecture, Reach Hvar’s fort Fortica or how the locals call it ‘Spanjola’, and get a gorgeous panoramic view of the town and archipelago. 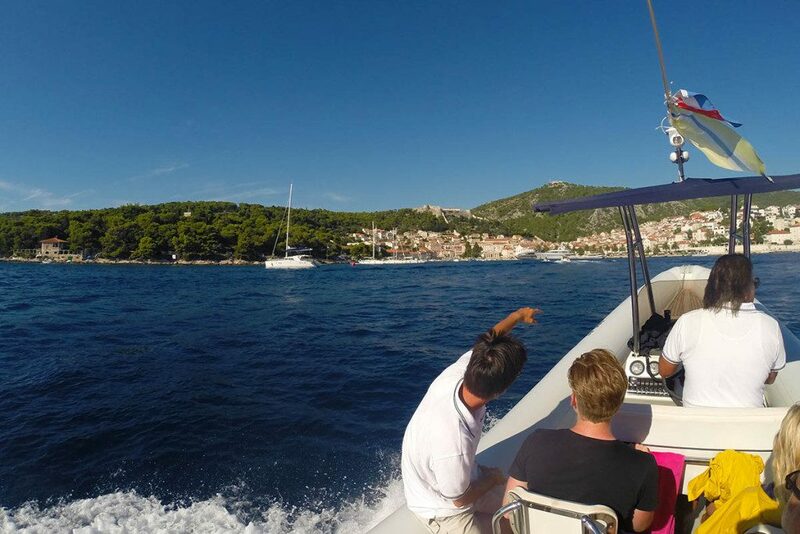 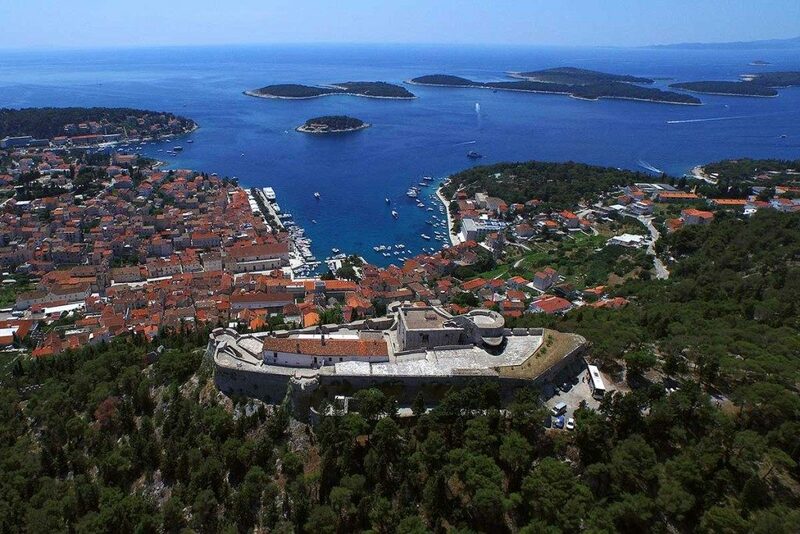 Hvar is especially famous among the celebrities and yacht lovers and you will surely understand why. 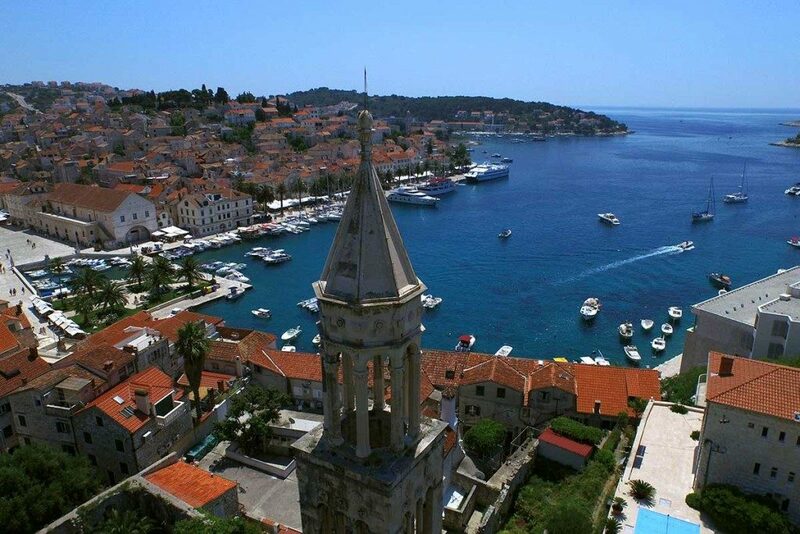 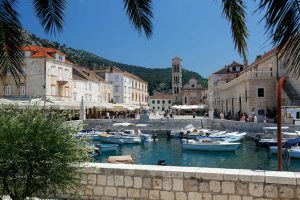 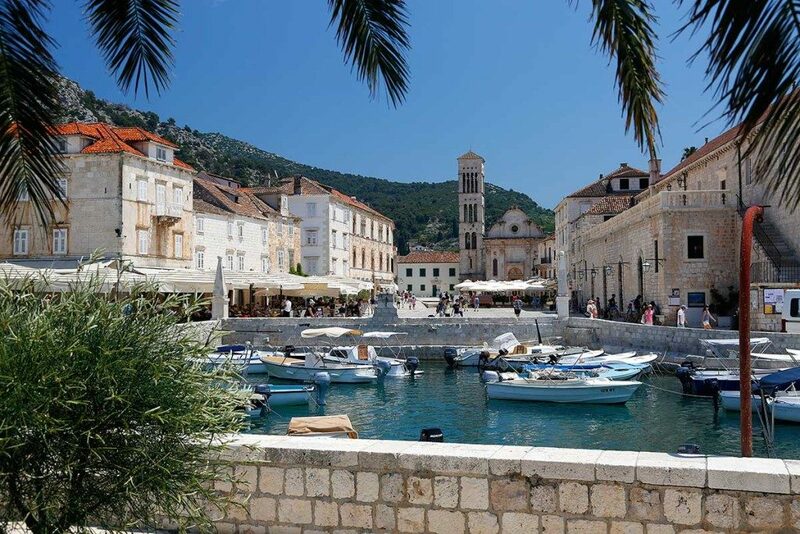 Hvar is so picturesque with its old stone houses, palaces, seven centuries old walls and promenade full of palm trees. 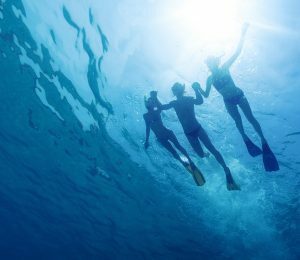 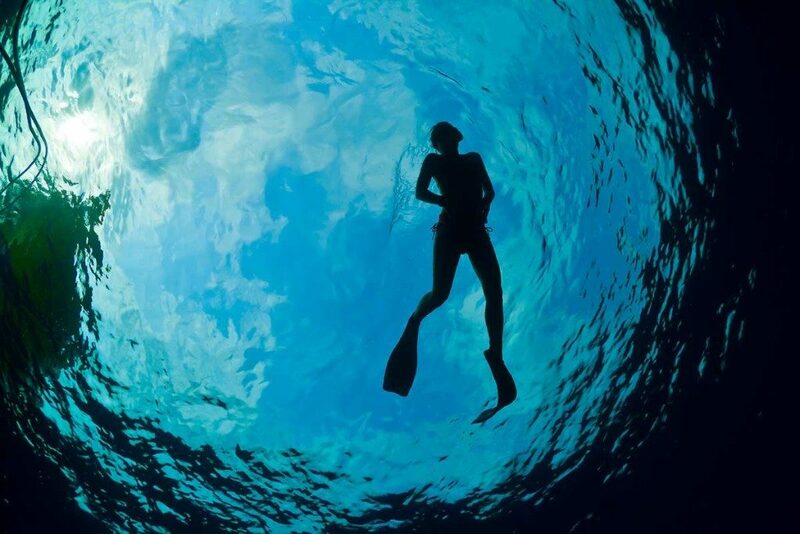 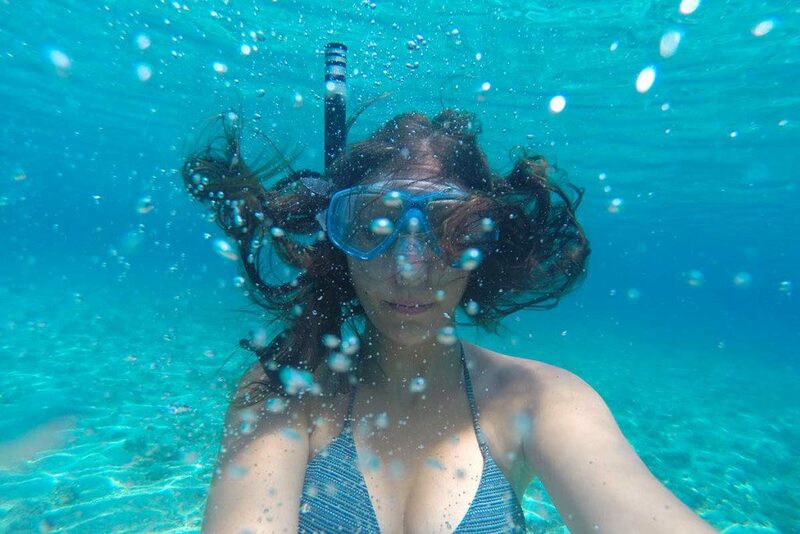 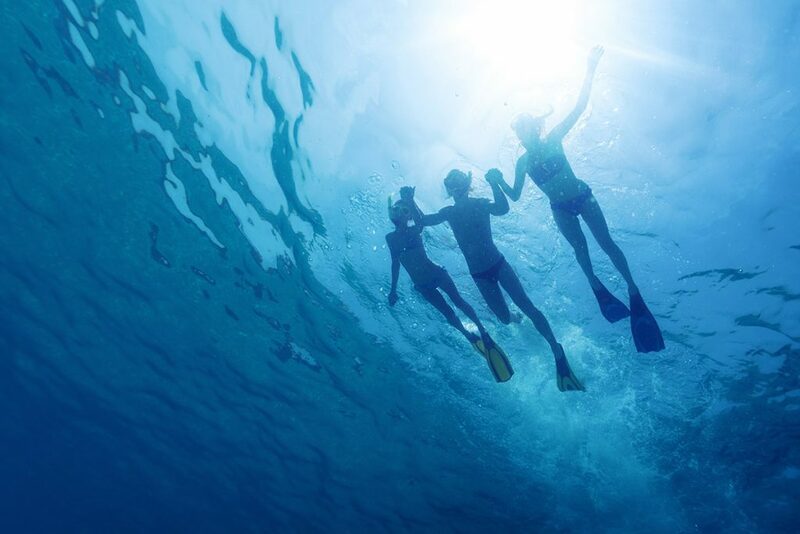 Free pick up (subject to availability), free wine tasting, snorkeling gear, safety equipment, insurance.